OK – it seems we aren’t quite done with the musicals yet. Disney’s Descendants 2 is back in it’s full singing and dancing glory. I’m going to completely come clean here and tell you that musicals are not at all my favourite thing. However, if anyone was going to win me over, it would be Disney. The positive messages in all of this singing and dancing come through loud and clear. Be the best version of yourself that you can be. You past and where you come from do not define your future. You can move beyond your circumstances without forgetting where you came from. And never, ever try to be anyone other than yourself. The storyline actually employs a couple of plot twists and leaves the franchise entirely open to another sequel. So, spoiler alert – I can completely see another DVD on the horizon. Now for the really fun part. 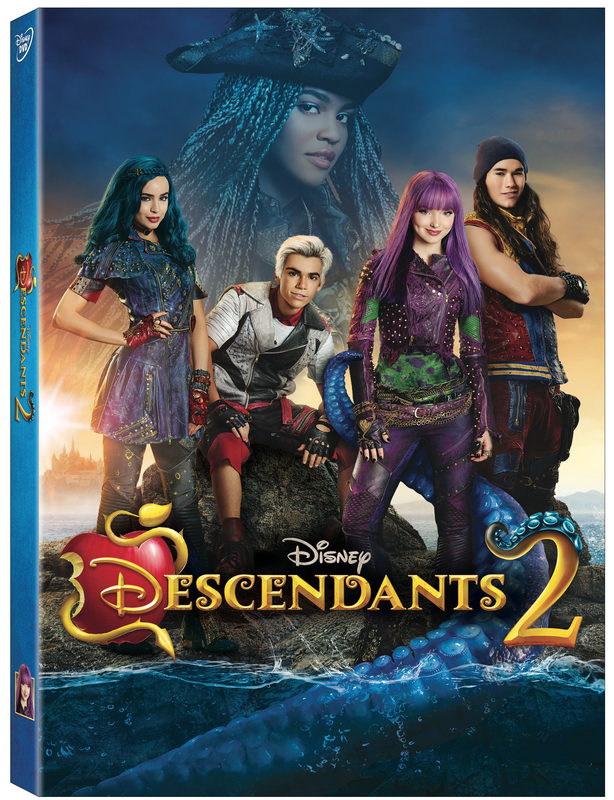 One of my incredibly lucky Canadian readers has the opportunity to win a copy of Descendants 2 on DVD from Walt Disney Studios Canada. Enter using the Rafflecopter form below. Odds of winning will depend on the number of eligible entries received. Not responsible for lost or misdirected entries. Contest closes August 27, 2017 11:59 pm ET. Approximate retail value of the prize is $20. Good luck everybody! 34 Responses to "Descendants 2 – Review & Giveaway"
I was definitely not sure of myself when I was a teenager, it was an awkward time for me. I had no confidence at all. I had zero confidence. Not a fun time for me. I was sure enough to get through my teenage years without too much trauma or drama. I wasn't very sure of my self as a teenager. I was shy and always questioned everything about myself. I wasn't sure of myself as a teenager. Hard to fit in sometimes. Some days as a teen I was sure of myself, but I would say more days I wasn't. I was not too sure of myself when I was a teenager and lacked confidence. I was very shy. Yes and no - in some things I was on top of the world (grades and sports) but in friendships/relationships in general, no. I was not very sure of myself as a teenager. I was pretty cocky as a teenager. In some areas I was very sure of myself, and in many others, I was not very sure at all. Was not sure at all, had a lot of self esteem issues, but I survived. Not in the slightest but that's what being a teenager is about. Not very, I was painfully shy. I wasn't sure of myself at all. I was sure of myself as a teenager. I had alot of confidence. Thanks for the giveaway. I hope that I win. I was not sure whatsoever. I wish I would have been more sure of myself. I was soso but thats was because of the people I hung out with in highschool. I wasnt really sure of myself. I was a shy heavy set girl who liked books and not hanging out. My grandchildren are absolutely cool as teenagers everyday. I have grandchildren that are definitely amazing teenagers.most of the time. My nieces and nephews absolutely are marvelous as teenagers and neat to talk to. Wonderful teenagers are what all of my grandchildren are a lot of the time. I have nieces and nephews that are really fabulous teenagers. to have a great time with. My many children are awesome teenagers that I enjoy working wth everyday.